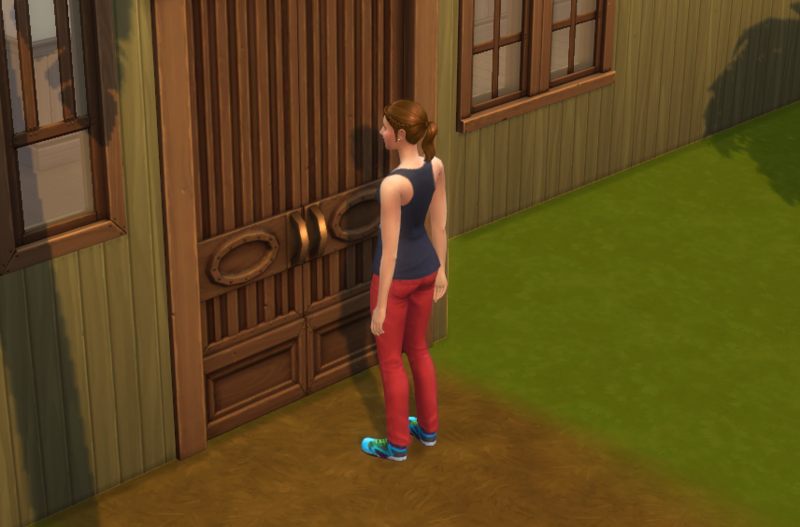 On the edge of her teenage years, Kalaya yet still had to change for the better. Manika felt helpless about her daughter’s disrespectful ways. 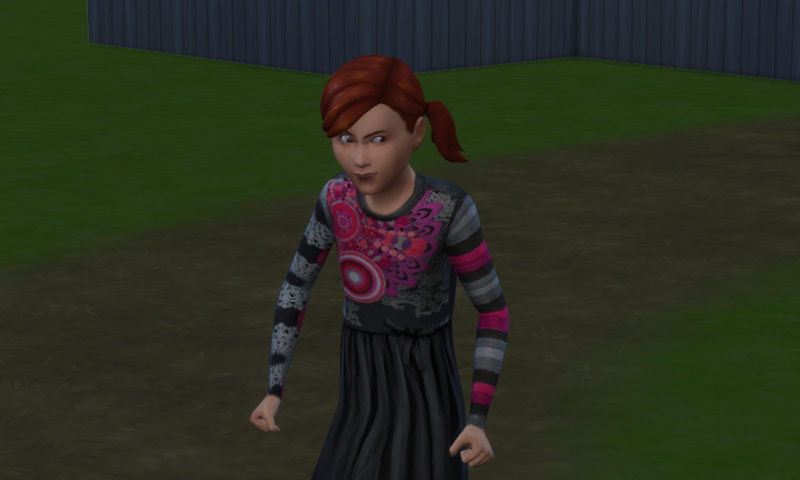 She scolded her again and again, but the child kept her aura of arrogance and self confidence. It began to affect the whole tribe while everyone was constantly trying to dodge out of the little girls way. Yep… The shaman farted at the wedding. Sigh. I had to cut the thought bubble from the real picture. Doesn’t Baato have like the cutest eyes? I admit, I only included this picture because everyone loves Baato, right? I just realized I had made this announcement on the forums, but never on my blog. Those of you who don’t follow me on the forums must have thought I gave up on this story – I have not! I was only taking a break to pre-write tons of chapters and in fact, Season 2 of this story is returning on February 1st! 4 days to go! After Nancy Landgraab and her husband Geoffrey were almost involved in a major social scandal in the last chapter, their morning started out quite peacefully. Geoffrey – who hadn’t even noticed his wife skinny dipping with another man – appreciated the quiet house during the sunrise and his tasty piece of cake. Nancy was reading for work and also showed no signs of previous events. Sigh. 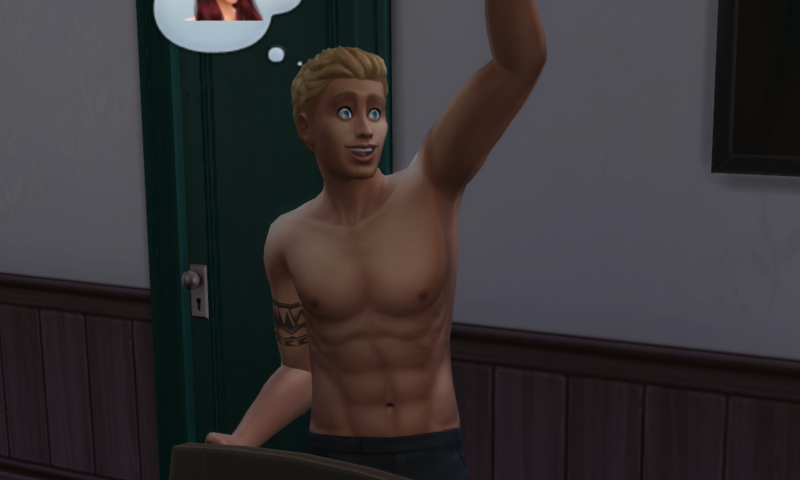 Sims forget so easily. In the last chapter, Malcolm Landgraab racked up some mischief interactions for his job by taking on Michael Plumhead. But for his aspiration, he needed an enemy and also get into five fights. So I looked around and selected this guy as his first victim. Mwahaha. 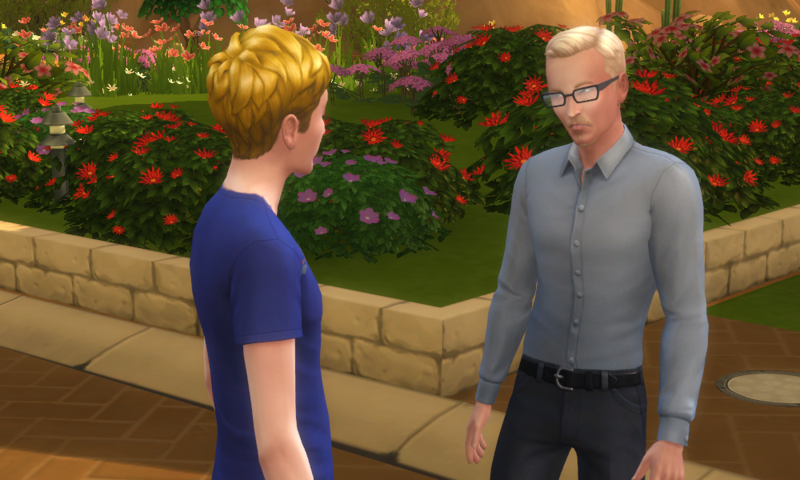 When Geoffrey Landgraab returned from work, I got asked whether he should invite a colleague – and I said yes! 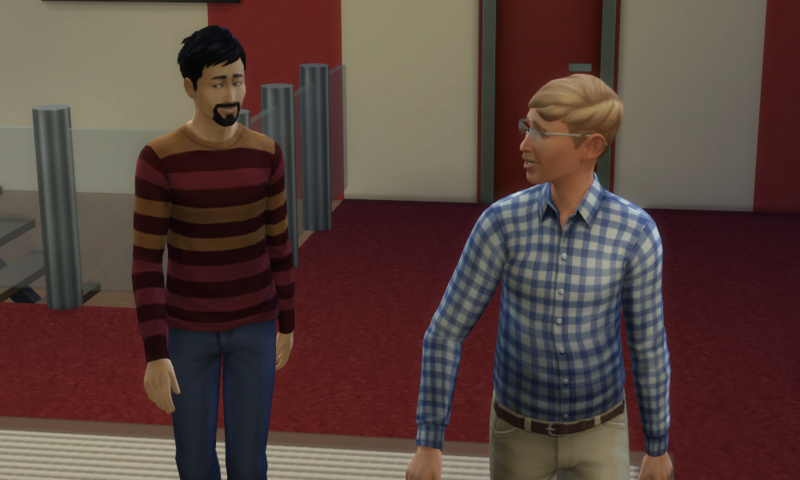 I think it’s important for Geoffrey, as an outgoing sim, to have some friends apart from his wife. This particular guy’s name is Fenton. Warning: Do not read this, if you haven’t read all of Discovery yet and plan to. Heavy spoiler alert!